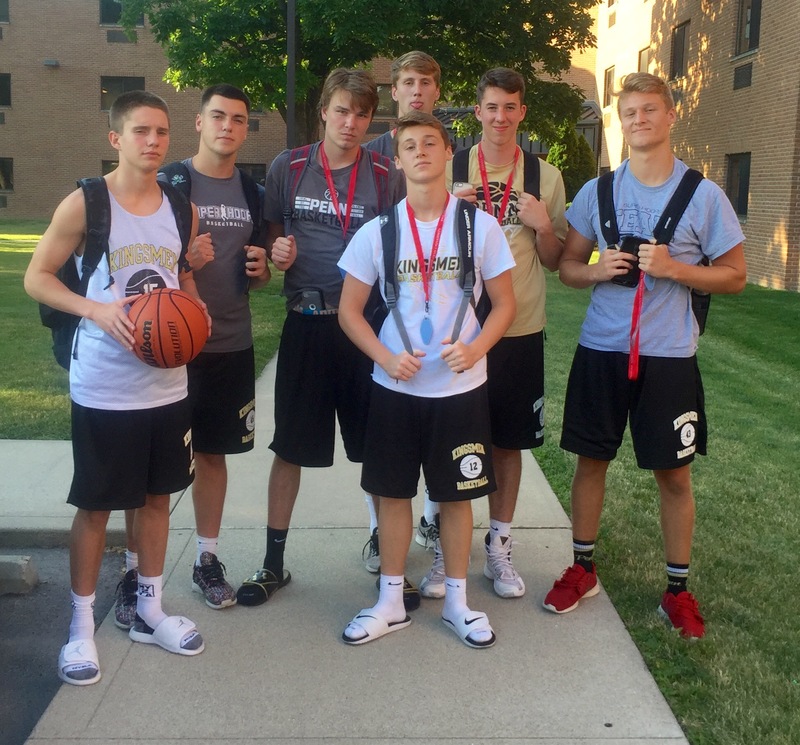 The Boys Basketball team traveled to Indiana Wesleyan University to play in the annual Super Hoops camp over the Summer. This team camp consists of many teams from this area along with teams from all over Indiana. The Kingsmen Boys varsity team started the first day out rough going 1-2 but playing two of the best teams there, including Valparaiso and Columbus North. The Boys came out extremely hot on Day Two going 5-0 and earning the second seed in the Hoops tourney. Sunday did not go as planned. The Kingsmen played an early game, but lost to Hamilton Heights. Later in the day, the boys played Twin Lakes and won. In the championship game of the “B” bracket the Kingsmen lost a close game to the hometown Marion Giants, the defending Class 3-A state champs. The Kingsmen will continue to work to get better for this year’s season.